We’re friendly folk here at Magical Story Jars and story making is the core of what we do. Whilst caboodles of our work entails perfecting our magic dust recipe and running our online shop, we also relish opportunities to get out to meet you lovely lot and spread our story making magic. It’s our favourite part of the job! We believe it’s important to do what it says on the tin…or should that be the jar! 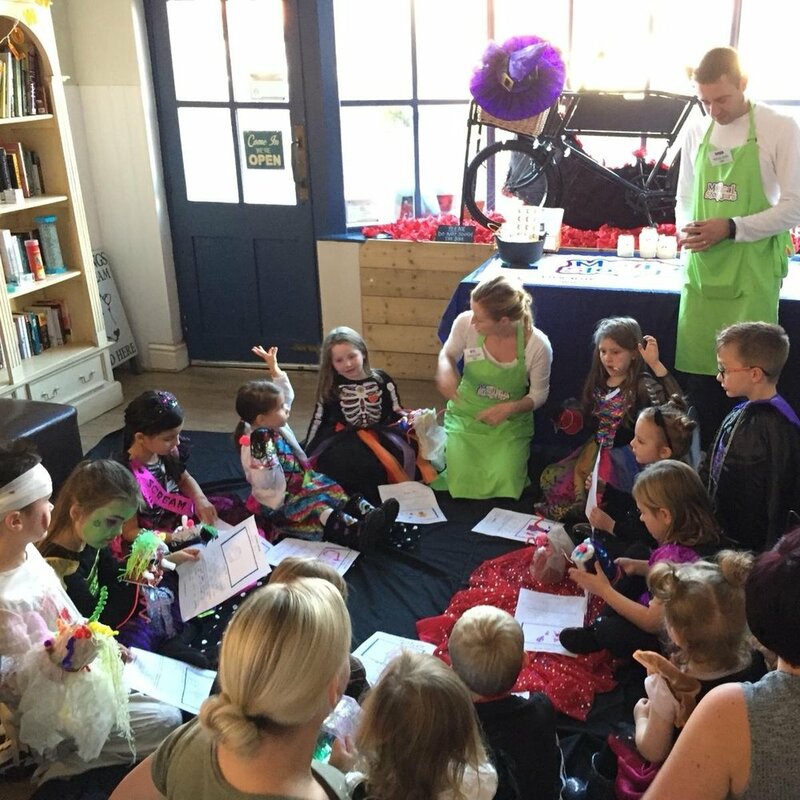 Working predominantly in the North West of the UK, we offer a full range of story making experiences and love to use our imaginations to create bespoke story making activities tailored to your needs, budget and setting. We can host an array of activities from a mini workshop with 10 kids right up to a full day of back to back sessions or drop in activities. We pride ourselves on being able to provide you with bespoke activities that really stands out from the crowd. But don’t take our word for it! Instead take a look at some testimonials from the organisations, parents and mini story makers we have had the pleasure of working with. Here’s where you will find us sprinkling our story making magic next. If you want to add a sprinkling of magic to your event, organisation or setting and discuss how one of our interactive Magical Story Jar experiences could help you, please email beth@magicalstoryjars.com or fill in the contact us form and we will get in touch with some more information and discuss how we can help you.